Horse Clubs « Northwestern Stables, Inc.
Below are two independent, non-riding horse clubs that meet at the Northwestern Equestrian Facility. 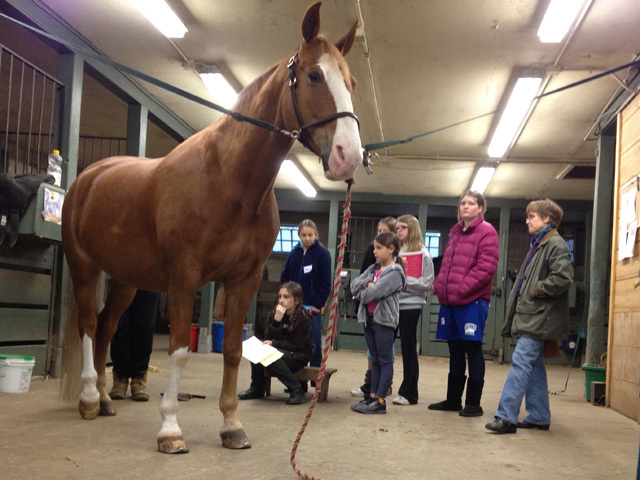 Calling all current lesson riders and horse-crazy kids in our community: NWS is home to a Philadelphia 4-H Equine Chapter! Started in 2011 and called “The Wissahickon Trotters”, this club offers an opportunity for boys and girls ages 8-18 to learn about the barn and horses at NWS and beyond! Members of the club will “learn by doing” and will participate in projects based on horsemanship, barn service and community service. Club meets one Saturday each month and also participates in various activities at other times. Fee for the year is $37 which allows members to join other area 4-H clubs as well if interested! Note that this club is not a mounted club, so riding is not included. For more information, please contact us at wissahickontrotters4h@gmail.com. To learn more about 4-H and the benefits being a member provide, go to www.4-H.org.